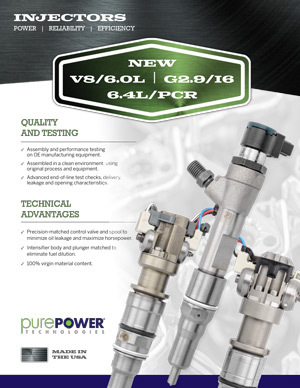 PurePower fuel injectors have years of research and development behind them — we’ve built over 30 million OE injectors since 1999, and we back up the quality of every injector with the industry’s best warranty. 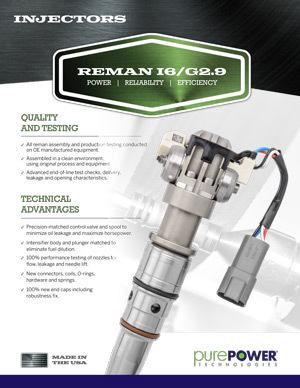 With more than 17 years of product design and manufacturing experience, we exceed engine manufacturers' most recent approved design specifications. 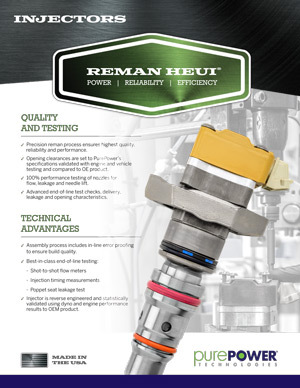 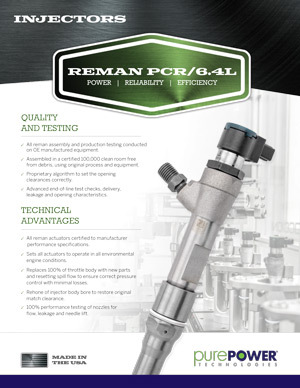 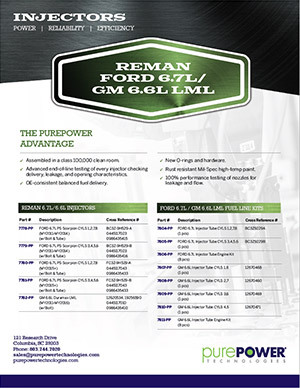 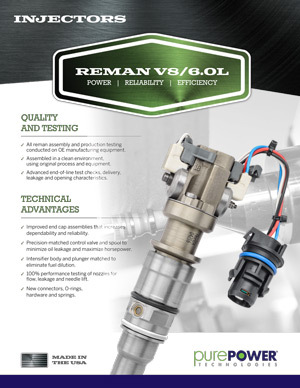 For further product information regarding PurePower’s full line of precision diesel fuel injectors, view our product catalog.